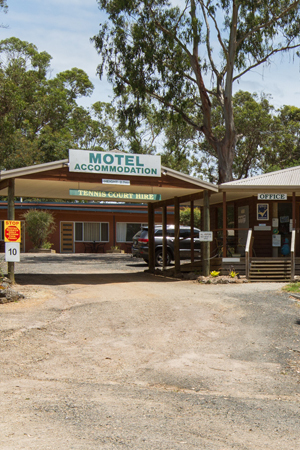 A Maze N’ Things Holiday Park and Motel is positioned in a spacious bushland setting centrally located on Phillip Island offering a range of accommodation options. Set in a natural environment surrounded by gum trees we have powered camp sites suitable for tents, caravans and motorhomes with plenty of facilities to make your stay enjoyable. We offer a wide variety of cabins from budget cabins to our newer more modern villas. All our cabins have self-contained kitchens, heating and cooling. Our Motel accommodation include an ensuite bathroom and includes amenities such as tea/coffee making facilities, bar fridge, kettle, and toaster, television, heating and cooling. Our facilities include; a large camp kitchen with a commercial-sized wood-fired pizza oven. A games room (coin operated), playgrounds, tennis & basketball courts and a swimming pool. Whether you want to relax and take it easy or be more energetic, we’ve got it all.